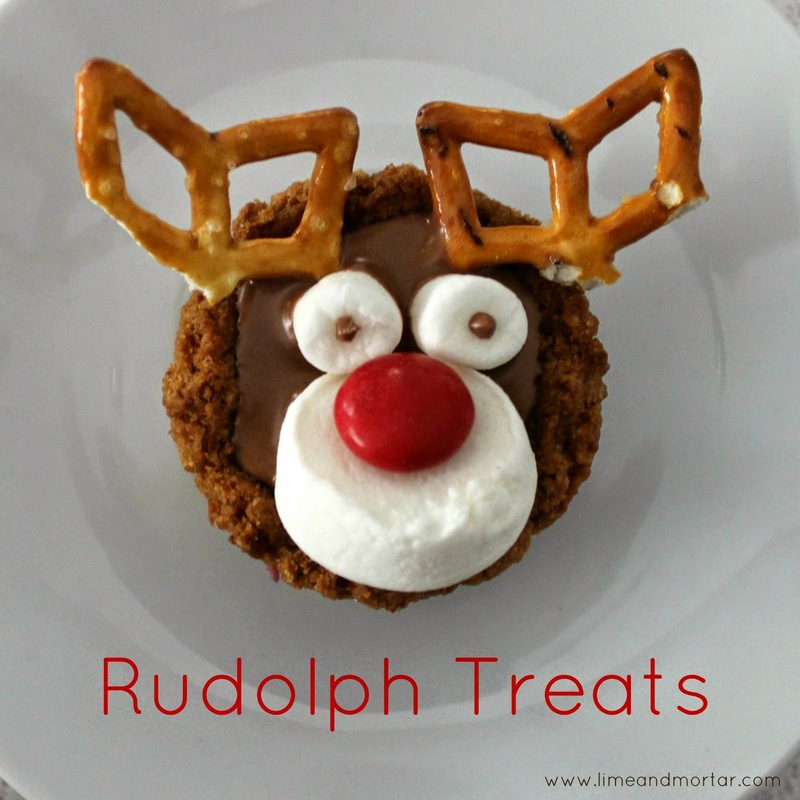 This Rudolph Treat is super fun and cute. 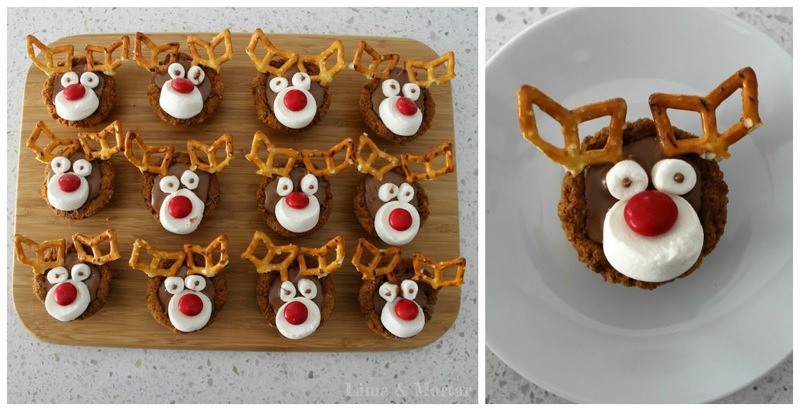 The adults love these and the kids love them even more. They use simple ingredients but look very impressive. Wow your friends and family! 1) Prepare the decorations first. Cut marshmallows in half, on the sticky side stick a red m&m for the nose. Cut mini marshmallow in half to create a set of eyes. 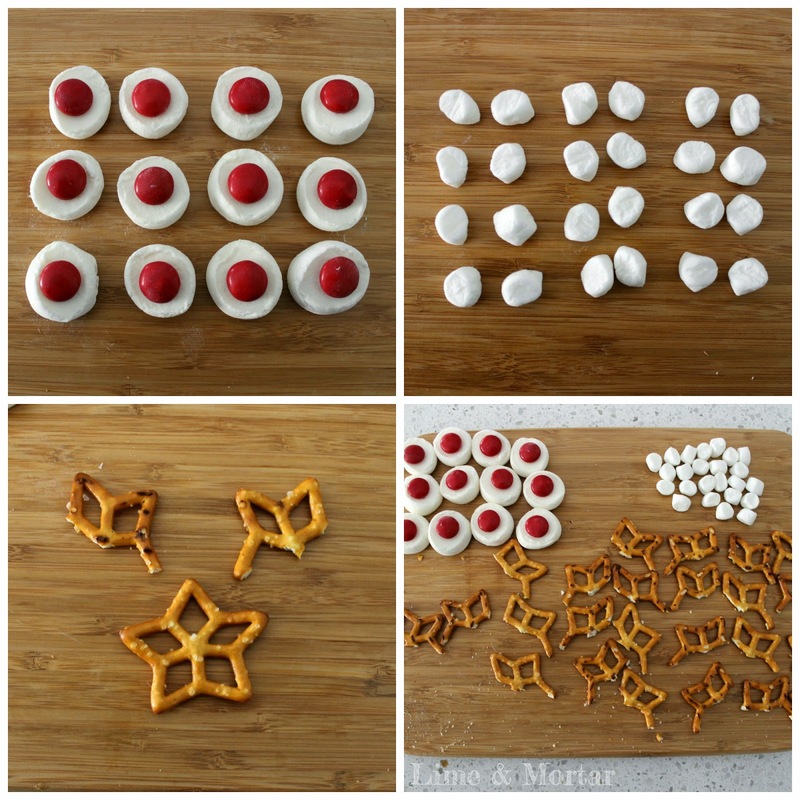 For the antlers cut the star shape pretzels in half (see photo). 2) Place 2 butternut snap cookies on paper towel and place in microwave for 50 seconds (time may vary, you just want to soften the biscuits). 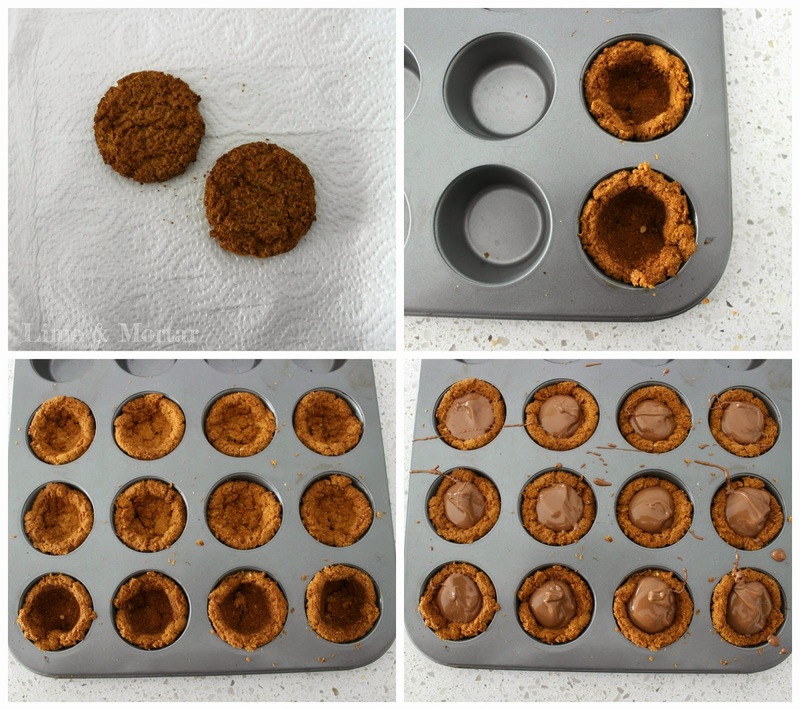 Push soften biscuits into a mini muffin tin. Repeat until your have desired amount. 4) Place the noses towards the edge of the biscuit. 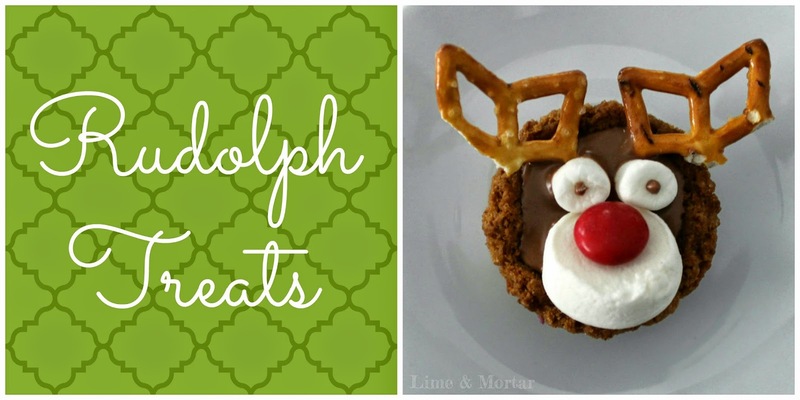 Stick in the antlers and place the eyes on top. 5) Using a toothpick dip into any remaining melted chocolate and make a dot on the mini marshmallow. 6) Leave on the bench to harden. Once hard remove and store in air tight container. I store mine in a dark place rather that in the fridge. TIPS: Previous years i have used a black gel pen for the eyes but this ive used chocolate so it's one less item for others to buy. Also must buy mini pretzel packet as normal pretzels don't contain the star shape. Spread biscuits out in the tin to make decorating easier. Gosh these are so cute! 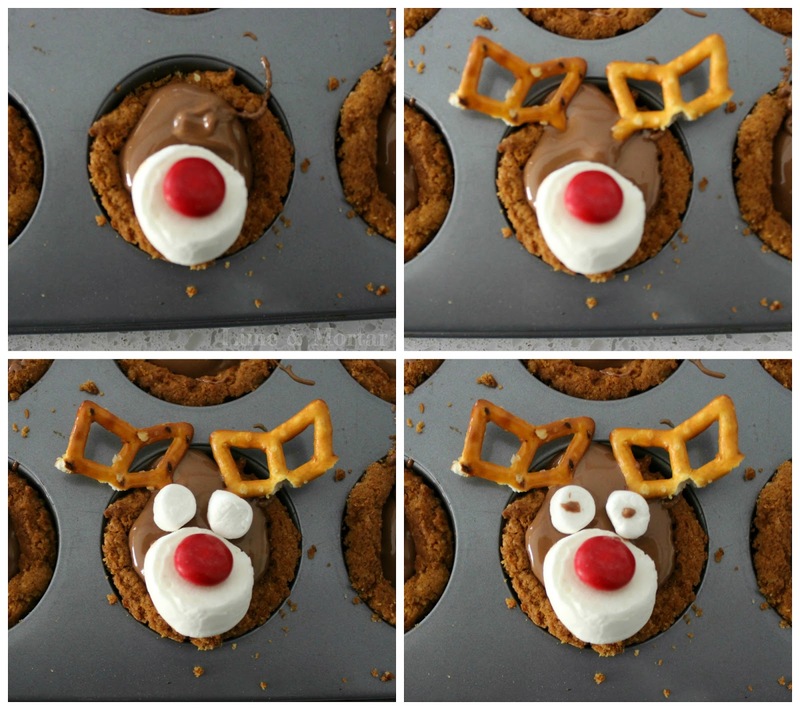 How cute is Rudolph! Children - big and small - are going to love those!